By a quirky coincidence*, I noticed a new Twitter follower of The Paepae, Auckland’s ‘Samantha Seers’ has an image file named ‘woman-spring-cleaning-lg.jpg’ as her profile pic. … with instances appearing on websites for domestic cleaners, home help and maid services from London to Bulgaria and even (shudder) Russia (see catalogue image below). 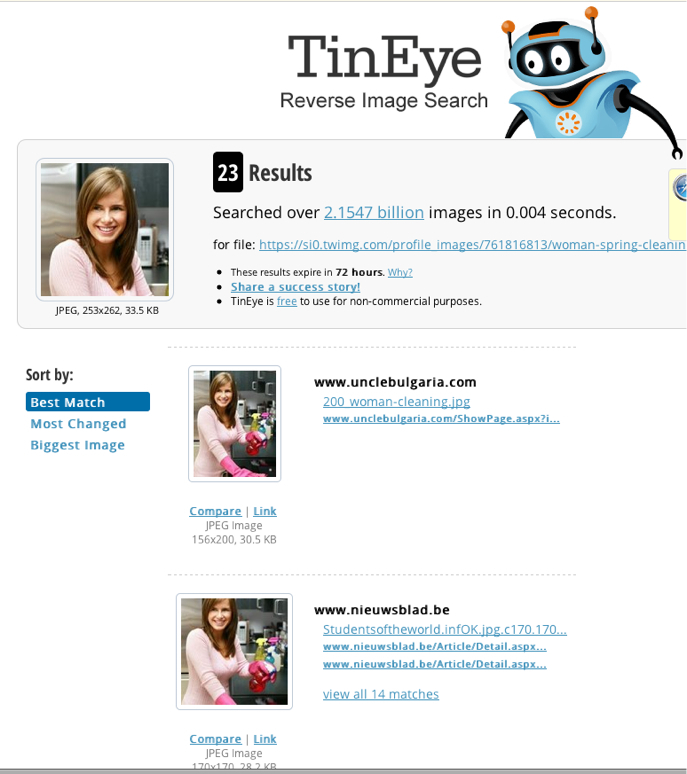 TinEye.com found that Samantha's photo is used all over the world. In 0.004 seconds! Amazing. Auckland's Samantha Seers is a Russian covergirl? Kicking it! But, between you and me: Psst! I don’t think ‘Samantha’ is a real person. What ‘she’ might be up to, I don’t know. Any ideas? *How it happened: I noticed a new Twitter follower and clicked on ‘Samantha’s’ photo to see if I recognised/knew her … and saw the file name was “woman-spring-cleaning-lg.jpg“. I thought: That’s a weird file name for a snapshot. 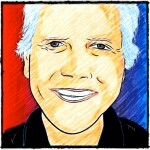 (My own profile image file name is “peter-illus-sketch-fr.jpg” which sure, is more complex but also more ‘real’.) The rest you can see outlined above. Just a few clicks. As I said: trivial. The last one used a photo of American Actress Krista Allen and for some reason cropped Kelly Osborne out of her photos. Some people have far too much time on their hands and unfortunately for me – free lawyers as well. Samantha looks pretty real to me. She can stalk poormastery anytime. I wish i would get a hot man stalker. All i ever get is beautiful women.